Fairview Clinic – "Quality Care Through Service, Education and Patient Participation"
We are a group of passionate physicians working with each and every patient to ensure they get the care they deserve. Call 334-794-3192 or Come Visit Us Today! Where Dedication and Passion for our patient‘s needs come first. 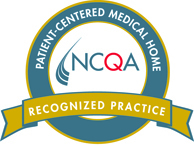 We take pride in providing the Wiregrass and the surrounding areas with complete Medical care solutions. Our Internal and Family Medicine Physicians provide care beginning at age 13 through end of life. We diagnose and treat a wide variety of illnesses including infectious diseases. We also offer complete physical examinations, routine health screenings, vaccinations, and preventive care. We are proud to offer our in-house lab services to better service each patient and reduce wait times from third parties. Our scan provides early diagnosis and ongoing osteoporosis monitoring. We can also do a body fat analysis for you. We offer Echo-cardiograms and Heart/Event Monitors that detects and records the electrical activity of the heart. We dispense most medications for you to help increase the time you have in the day! Prices are comparable to local pharmacies. With this addition to our services we can help diagnose nerve damage and/or pain for our patients. We perform many Dermatological procedures allowing for treatment for our patients. We offer most immunizations that are available all here at our clinic to provide optimal service to each patient. 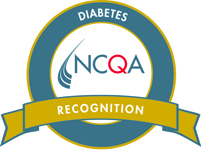 We are certified by NCA in quality diabetes care and recognized as a Patient Centered Medical Home Level III. The wait time was short, service was exceptional and Dr. Masters was great, informative and very helpful."